Are you trying to decide between Stripe vs PayPal to collect payments or donations on your website? 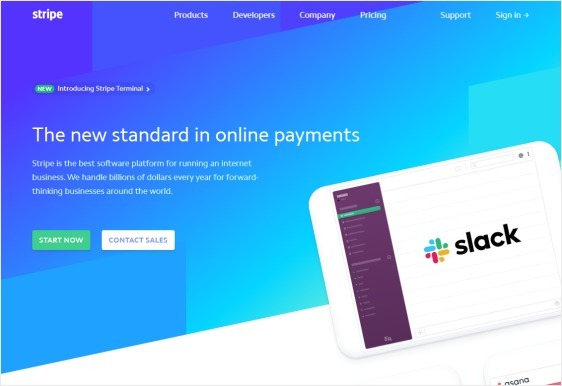 Because Stripe and PayPal are the most popular online payment solutions, your decision on picking a payment provider for your site probably comes down to these two. This article will compare the pros and cons of both payment gateways, so you can decide if Stripe vs PayPal works better for you to accept online payments for your business. Stripe and PayPal are two of the most well-known payment solutions that let you collect money online. To collect funds from your site visitors through your website, your business needs a payment provider. If you want to know the differences between Stripe vs PayPal, you have to look at the pros and cons of both. What Exactly Does Stripe Do? Stripe is an online payment service that lets people accept and send money over the internet, and its popularity is growing in the eCommerce world. Stripe is especially liked by code-savvy people or teams with in-house programmers because of its customizable development tools. It’s a popular pick for small businesses but is also used by companies like Pinterest, Lyft, Blue Apron, and TaskRabbit. What Exactly Does PayPal Do? PayPal is a payment solution that lets users make and receive payments online, and it’s very well-known. PayPal claims to have over 267 million customer accounts, including over 21 million merchants. Nearly everyone has a PayPal account these days and it’s easily one of the most recognizable names in the eCommerce payments industry. Who Uses Stripe and PayPal? To get started creating a simple order form right away, read our tutorial on how to create a simple order form in WordPress. 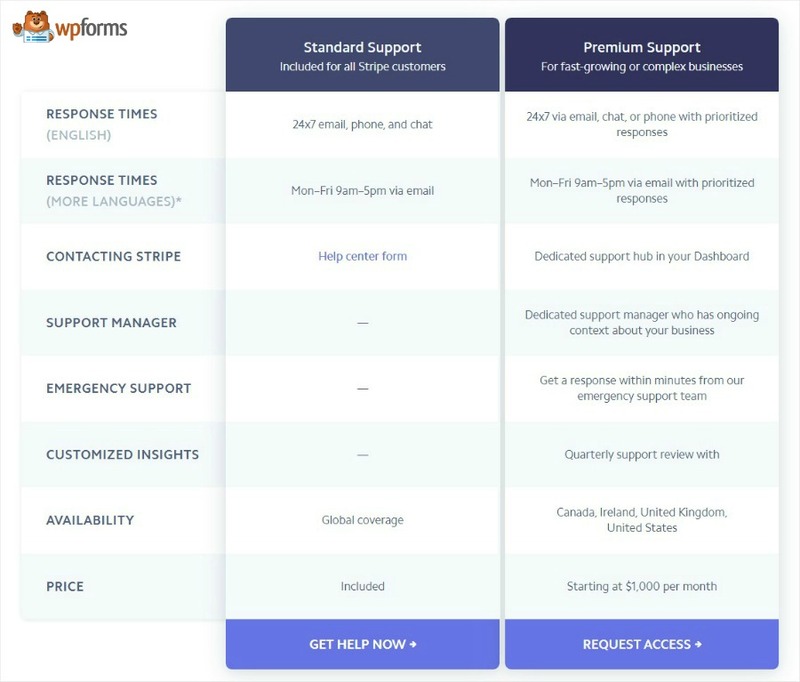 WPForms integrates with both Stripe and PayPal for accepting payments, but you’ll still want to research the differences between the two. Let’s take a look at a summary snapshot of Stripe vs PayPal. *US-based only. Fees vary by country. Since this is a lengthy article, we’ve added a table of contents for easy navigation. Both Stripe and PayPal are very transparent about their fees, which is one of the reasons why they’re leaders in the online payments industry. Both Stripe and PayPal’s US fees per transaction are 2.9% + 30¢ and both offer plans with no setup costs, basic monthly fees, or contracts. So, with both Stripe and PayPal, your business is eligible for lower pricing if you hit a certain number in monthly sales. Stripe fees get lower at $80,000 per month and for PayPal it happens at a much lower sales volume of $3,000 per month. Both companies offer nonprofit discounts at 2.2% + 30¢ for US fees. If you’re processing transactions of less than $10, Stripe offers micropayment support with the same flat rate as your standard fee per transaction. Paypal’s micropayment rates are 5% + .05¢ per transaction. A chargeback is a charge reversal that happens when somebody contacts their bank and reports a transaction on their card that they don’t agree with or think is fraud. They exist to protect cardholders, but are sometimes over-utilized which can be frustrating since your business will pay a fee for each chargeback that happens. Stripe has a chargeback fee of $15, while PayPal’s chargeback fee is $20. Also, if your customer gets a refund, Stripe won’t return any processing fees to you. 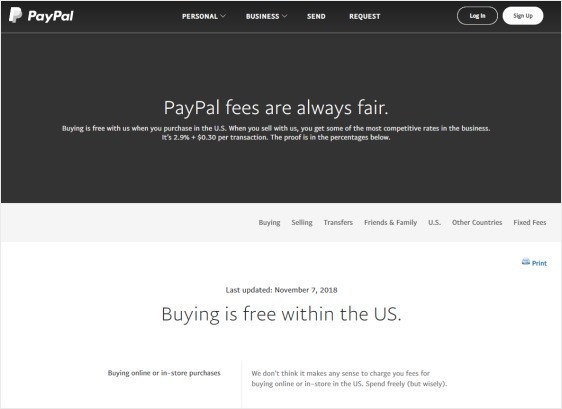 On the other hand, PayPal will return just the fixed fee, but not the percentage. Stripe has several ways to get in touch when you have questions including a help center, social media, and chat support channels (with support reps or developers), plus phone and email support. PayPal has multiple ways to get answers to your questions from their customer support team like a community forum, a help center, and social media, plus email, live chat and phone support. 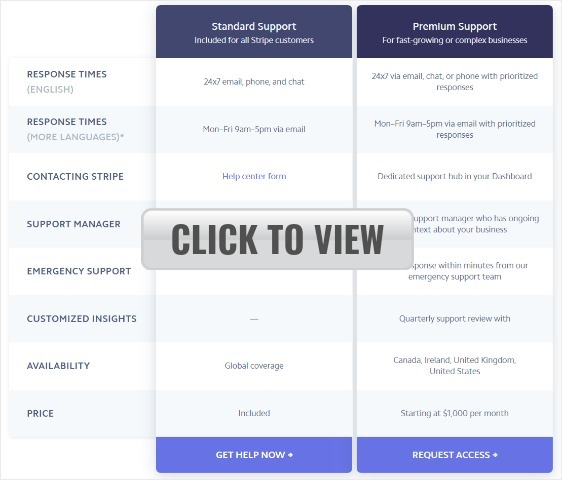 Even with all these ways to get your questions answered, users still say that the quality of customer service from both Stripe and PayPal can vary from good to poor and is frustrating at times. However, Stripe recently added 24/7 access to both phone and chat support while PayPal’s support still goes dark at some hours of the day. Both Stripe and PayPal are known for being super easy to use. Both companies have made it really simple for customers to pay online. Stripe is more customizable over PayPal. However, to embed a feature like a Pay With Card button on your site, Stripe requires a bit more development knowledge and can sometimes be tricky for non-technical users. With WPForms, setup for both Stripe and PayPal is a breeze since they’re both available in our pre-built form templates with the Stripe and PayPal Standard Addons. Both Stripe and PayPal’s services are PCI Complaint. In other words, they meet the strict standards of the Payment Card Industry and your cardholder data is stored securely. PayPal is available is many more countries than Stripe. Currently, PayPal is offered in 200+ countries while Stripe has just 32+ countries (and growing). Stripe will automatically deposit your funds into your bank account with a 2-day average payout time. On the other hand, your funds are available immediately in your PayPal account with PayPal Standard. However, PayPal averages a 2-4 day payout time when moving your funds from your PayPal account into your bank account. You can use both Stripe and PayPal with WordPress, and both products are integrated with WPForms. At some point, you may want to move all your data to another payment processor that is not Stripe or PayPal. This is known as Data Portability. Stripe values Data Portability, so they’ll help you move your credit card data in a PCI Compliant way. PayPal won’t give you this data if you try to switch processors, which can be a headache. For some people, it’s important to have the choice to be able to move their payment data if they want. 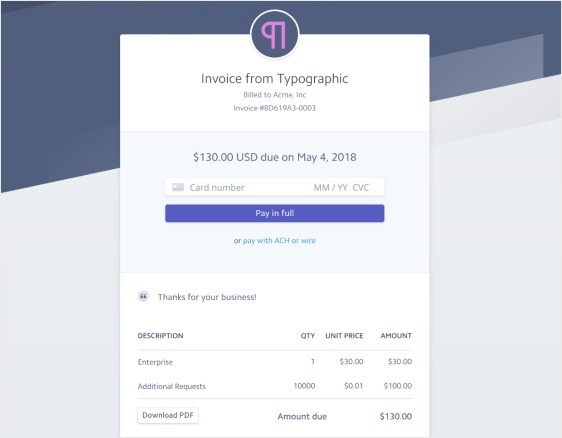 Stripe and PayPal both have customizable online invoicing. This is free with PayPal, and free with Stripe until you bill over $1 million. You may be surprised how quickly your sales add up. If your online store is doing poorly in sales, check out this guide to eCommerce optimization on our sister site that can help boost your revenue. 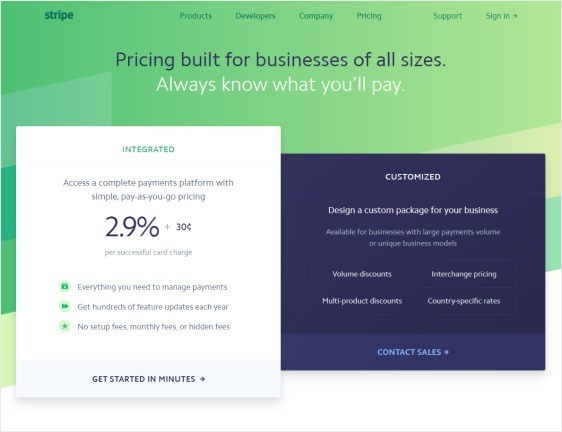 If you’re a brick-and-mortar store adding an online presence and want to use the same payment processor for your storefront and your website, you can do just that with both Stripe and PayPal. PayPal has integrations into many popular Point of Sale systems, and both Stripe and PayPal offer their own physical card readers. PayPal will give you free card readers and also has paid card readers you can buy, while Stripe only offers paid card readers. It’s important to note that Stripe lets people pay you without ever leaving your website. PayPal requires people exit your website to sign in to a PayPal account before being redirected back to your site, which may be undesirable for you if you want to keep your branding consistent from start to finish during your customer’s buying process. On the other hand, this step may not bother some business owners as this is a fairly familiar process for many customers, but it’s a factor to consider. Stripe vs PayPal – Which One Is Better? So which online payment gateway should you use? The answer depends on your business’ individual needs including your industry, the type of customers you have, and what you’re selling. One type of merchant may prefer to go with one payment solution over another. It’s also important to note that with WPForms, you don’t have to select just one payment solution to accept payments on your website. To use both Stripe and PayPal, you’ll need to setup accounts with each company. This way, you can allow your visitors to select which one they want to use. Head over to our guide on how to allow users to choose a payment method to learn more. If you do this, keep in mind that your funds will be deposited to your bank account separately, which could cause extra administrative work. You’ll be spending more time dealing with both Stripe and PayPal if you’re using the two, so weigh all your options before deciding if this is the best route for you. With the simplicity of WPForms, even non-technical people can create beautiful order forms that accept payments or donations right on their WordPress site with our pre-built donation and order form templates. You can easily let users choose if they want to pay through either Stripe or PayPal in your forms. Both Stripe and PayPal offer great features and major flexibility. Ultimately, which payment gateway you choose depends on your business’ specific needs. Accepting payments in WordPress is super simple with WPForms. With our Stripe Addon and PayPal Standard Addon features, you can easily collect payments and donations through the most popular online payment gateways directly on your website. And there you have it! 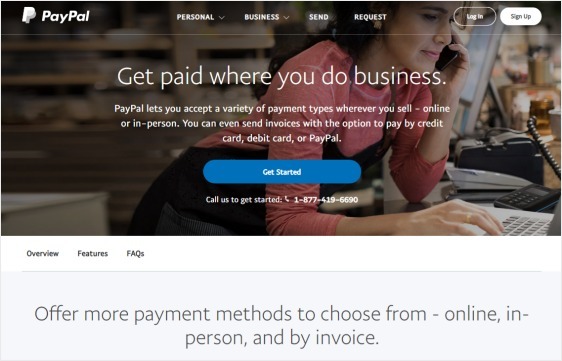 You can now make an educated decision about whether Stripe vs PayPal will be a better fit for your business to collect payments or donations online, based on their individual pros and cons. 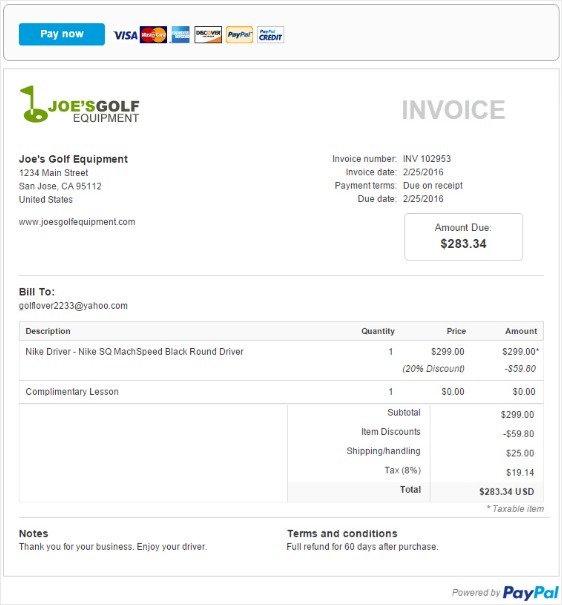 Ready to create a form that accepts payments? Head over to our tutorial on how to create a simple order form in WordPress.